My check engine light came on and the code read a oil pressure sensor/switch. I got the part but would like to know where to locate it. and the best way to access it. Thanks, The code read was P0523. Is that the correct fix. Im a novice to this so need a little more detail on location of sensor. Some one said the sensor was next to the oil filter. Correct? Easy fix or do I need mechanic? Remember that the DTC just gets you in the neighborhood of the problem. The FSM has detailed fault trees to track down the ultimate faulty part. Yours indicates an open/high resistance or a short to voltage. Now that could either be caused by a faulty sensor or a wiring fault. The FSM contains concise troubleshooting steps. paintit: I have a complete set of the 2007 Factory Service Manuals (FSM) (like new condition) that I'll sell you for $100 plus shipping. Detailed instructions for lots of stuff. 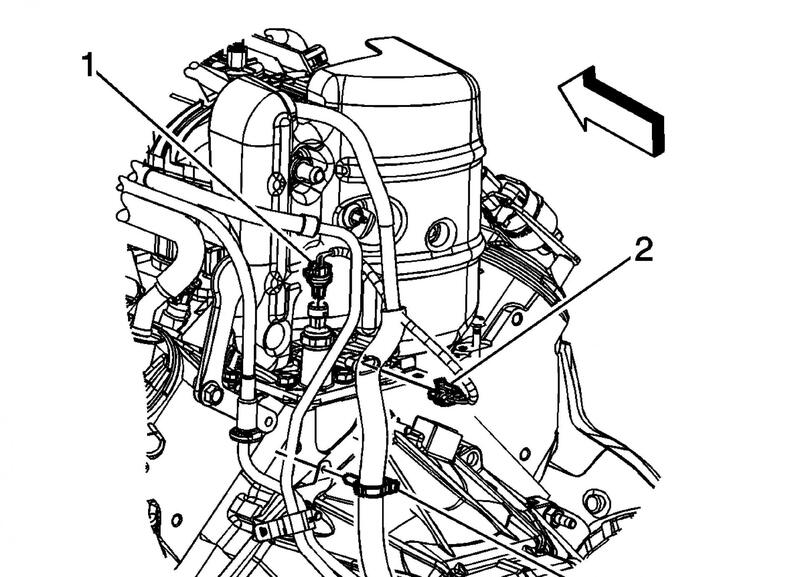 On the old generation SBCs, the oil pressure sensor was either at the back of the block near the distributor or down on the side above the oil filter. Oh for the old days. I think he needs to take a VOM and verify the three wires at the connector to ensure it's not a wiring problem. Thanks for all input. I may try to get to sensor without touching manifold 1st. If I cant get to it, removal of manifold is beyond my scope of work. I was driving along the other day and my turn engine off light came on. The oil pressure gauge dropped to 0 and like others if I floor the engine then the gauge goes to 30 or so then bleeds back down to 0. I checked the oil and there is no sign of contaminants such as water or gas. The oil is full. Everyone is talking about codes but I see none. Is this something I will have to get a computer to check for? I am out of cash at this point and taking it to the dealer is going to have to wait. The question is how much damage if any I am doing to the engine. My wife has been driving it about 3 miles to work every day while I drive her car. The engine sounds fine when it is warmed up. The suburban has hard started for several year now where you here small noise when you first start it until the oil gets distributed. At least that is what the dealer told me the noise is. Let me know what you think please.